What a fabulous start to a new series! I haven't read a book by Sarah Fine in a while, but this book reminded me why I love her writing and characters so much. I found myself easily sinking into The Serpent. Sarah Fine is such a fantastic author at coming up with unique and fresh concepts. This new book in The Immortal Dealers series is no different. The Dealers in question refer to powerful and immortal beings who have determined the course of history through a deck of magical cards, each deck represented by an animal a la Patronus from the Harry Potter series. The heroine, Ernie, finds herself thrust into this world of Dealers when she unwittingly steals the cards from a narcissistic Dealer with nefarious goals. With the aid of a charming Dealer, Gabe, Ernie learns to navigate this world and go on a treacherous journey to save her mother. Does that not sound so interesting? I can always count on Sarah Fine to build up the world in her books in a way that's effortless to take in. 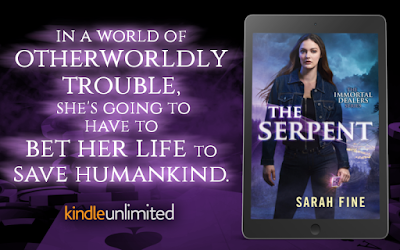 In The Serpent, the world is gradually introduced making it very easy for readers to understand the full scope of it. It was magical and intriguing. And oh my goodness, did I love the plot. With an urban fantasy book, I always hope for action and twists and turns. The Serpent delivered on all counts! I enjoyed every minute of this ride. The ride wouldn't have been entertaining had it not been for the stellar cast. Ernie, the heroine, was an instant favorite. Her sass and humor infused a lightness to the story. She was a great character who was easy to root for. I particularly enjoyed her bravery and her willingness to do go to extreme lengths to support her mother. Ernie was complex, and as the book progressed, we got to see a ton of growth and maturity in her character as she learned more about her family history as well as herself. Gabe, the Dealer, who decides to give her a helping hand, was just the perfect partner for her. He was mysterious, but also very easy-going. I definitely had a soft spot for the guy. There was a slow-burn type of romance between the two and I can't wait for more! The animal associated with Ernie's stolen deck, the serpent, was also an entertaining character in itself. She was as sassy as Ernie and their bond took a while to grow but it was so worth the wait. The rest of the secondary cast was just as colorful as the main character - I always do love reading books about rag-tag groups. 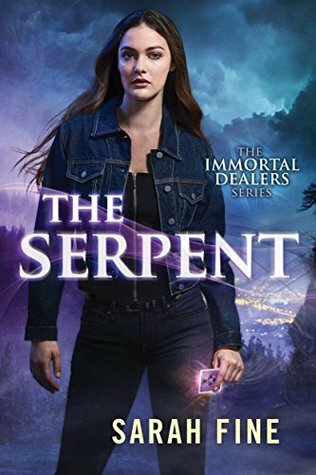 I haven't been this excited for a new series in a while and I'm so glad that I read The Serpent. There are tons more to learn about this world and these characters - I can't wait! 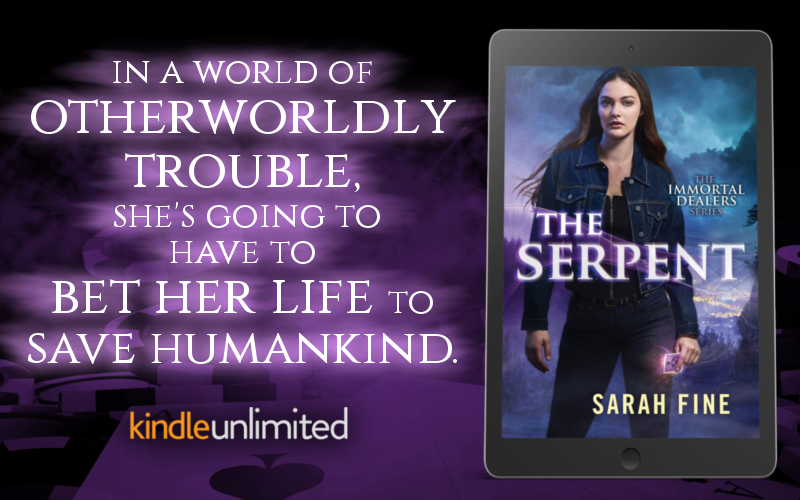 Imaginative, thrilling and humorous, The Serpent is a must-read for fans of urban fantasy. What are some of your favorite UF series? Does this book interest you?